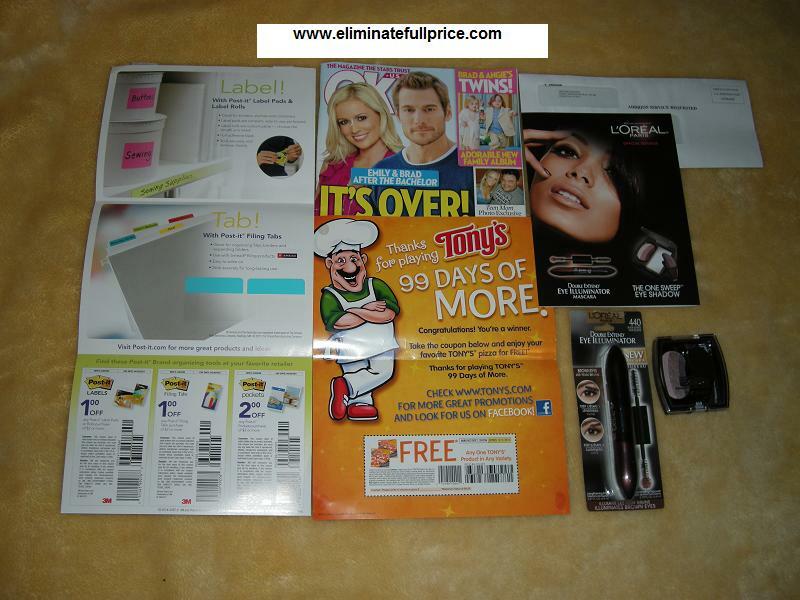 Eliminate Full Price: Mailbox Monday - L'oreal Makeup from Bzzagent! Mailbox Monday - L'oreal Makeup from Bzzagent! My mail was so light last week. My favorite freebies I received were the $3.00 Pinecone check and the L'oreal makeup from Bzzagent. I received the L'oreal as well! I played that Tony's sweepstakes religiously and never won a thing. Nice mailbox!